For those that still want more from Batman: Arkham City, the Dark Knight's ex-sidekick, Nightwing, is getting some DLC. From November 1 you'll have the opportunity to take on the challenge rooms as Batman's protege. 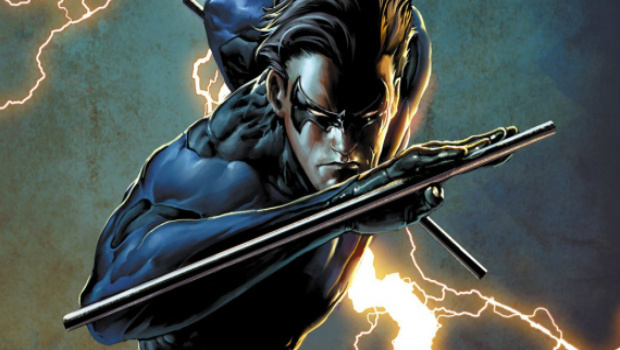 Nightwing has his own unique gadgets and moves, he's a little lighter on his feet than the Caped Crusader and sports a pair of Eskrima fighting sticks. He also uses electricity rather liberally and probably has to get used to the smell of singed flesh. Also included in the DLC are two new challenge rooms -- Wayne Manor and Main Hall -- and a bonus skin for Nightwing based on the Batman: The Animated Series version of the character. It will go live on November 1 on XBL Marketplace for 560 MS points and on PSN for $6.99. Additionally, the preorder bonus Robin DLC will go live for everyone on November 22 for the same price.